One of the one hundred highest peaks in New England at 3,848 feet, Mt. 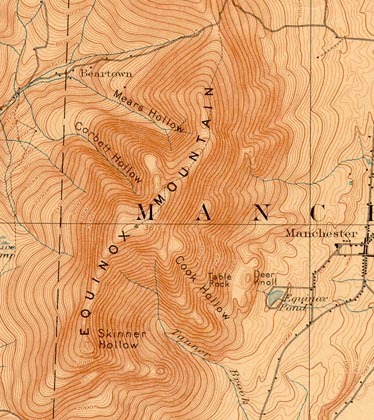 Equinox's alpine skiing history nearly started in the 1930s, when CCC trails were proposed. Mt. Equinox was also considered for a massive ski development in the middle of the twentieth century. 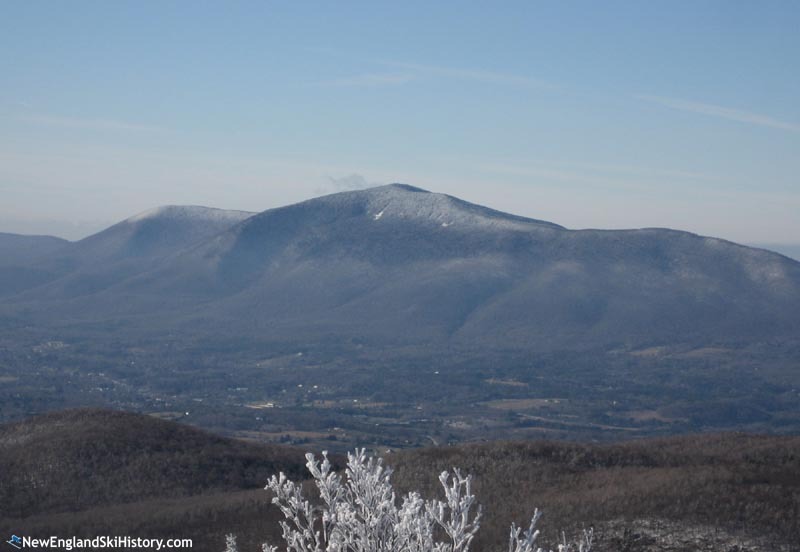 The subsequent development on Stratton Mountain likely contributed to the end of the Mt. Equinox plans. Had the ski area been developed, the continuous vertical drop would have been one of the largest in all of New England. There are no known remains of the Mt. Equinox Ski Area proposal.
" Luckily the 1930s Work Progress Administration plan to carve ski trails on Mount Equinox never panned out, and Manchester Village retains its serene white clapboard good looks, at least for the time being. " Tree, Christina and Diane E. Foulds. Vermont: An Explorer's Guide. Eleventh edition. Woodstock, VT: Countryman Press, 2006. Courtesy Bill Tarkulich.